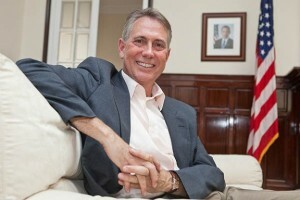 American diplomat Gregory D. Crouch ended up his mandate in July as US Consul General in Barcelona. After three years of dealing with Catalan society and sending reports to the embassy in Madrid and to the US State Secretary Office he asserts he has realized the increasing growth of independentism across all social levels, shows his concern for some xenophobic discourses which have recently appeared and validates using Catalan as a tool to secure social cohesion and integration of immigrants. “In the USA, actually, we think the same of English!” he says. Crouch is already packing things, and saying goodbye to all the acquaintances he has made here during these three years, as he has to leave for the US Congress, in Washington DC, to work for a senator’s office. From a distance more than 6.000 km long, he assures he will keep an eye on this endless debate between Catalonia and Spain. - Being in consulate for three years, did you notice a certain level of any anti-Americanism in Catalan society? – I never found anti-Americanism of any kind of here. Barcelona is a welcoming and dynamic city and its inhabitants and the Catalan people have always made me feel at home. Our stay here has been a pleasant one. – One of the main debates we have recently had in this country is about the possibility for Eurovegas to set foot near Barcelona. Do you think some of the criticisms are due to the fact that we are talking about an American investment beyond any other consideration about the type of leisure it may represent? – First of all, both the embassy and the consulate are keeping a totally neutral position in this process. We practice what we call “economic diplomacy”: we work hand in hand with the Spanish government as to assure that American companies have the same opportunities to invest and sell their products in the Spanish market as any other companies may have… Once this told, I wouldn’t say the opposition to Eurovegas to be any sort of anti-Americanism. I do understand that not everyone wants nor likes casinos and others may have some concerns about this type of investment, but I wouldn’t say it to be part of any anti-American feeling. - A good deal of American tourists who come to Barcelona do take a cruiser. Would they value having this Eurovegas offer? – Well, some would maybe do so. Every year almost 500.000 American tourists come to Barcelona to get embarked in a cruiser and some 500.000 more come also in different ways. Maybe some of them would be interested or attracted by the Eurovegas casinos, but I got the feeling that most of them mainly want to visit the city and other Mediterranean places. – Parallel with Eurovegas, another warming up debate these days is the one about the future of Catalan language at schools. Up to 2010 the US State Secretary Office annual rapport about Human Rights used to mention “linguistic discrimination in Catalonia”, but last year and the current one it remarks that “with the actual educational system the competence in Spanish language of Catalan students is level to that of the students in monolingual Spain”. Should we understand this as an endorsement of linguistic immersion? – The language is an affair of Catalan and Spanish people, we don’t have any official position on this matter. We perfectly understand the great importance of the language and culture for any given country. To write down our rapports we do need the collaboration of several NGO who can provide us with information on different subjects, but they don’t reflect any official position of the US State Secretary Office. We do reflect only the complaints and the information given by different groups and then we put them in a wider context as to help making sense so they can be better understood. – Despite not having an official position, this widening of the context is coincidental with your taking charge of the consulate. Did you have anything to do with it? – Though the final rapport is written down at the embassy in Madrid, we do, of course, participate in it and try to widen the context according to our contacts with civilian Catalan society. I think we made a good balance by using the complaints reported by NGO and by expressing the points of view of the government and civilian Catalan associations. – Have you already had any meetings with the Catalan educational community or with representatives of the associations’ platform Somescola.cat to talk about this? – Yes, we have. My team and I myself have certainly had several meetings with different civilian Catalan associations in order to collect information for our rapports. - This annual document also gives some alert about politicians who are using a xenophobic discourse such as Xavier García Albiol or Josep Anglada. Do you see them as a potential risk for the future? – We follow up all political tendencies from a short distance and this is something we have specially noticed, those xenophobic discourses, and we have certainly expressed our concern in the rapports. This is an affair we must keep tracking very closely. – So you are worried by this xenophobic tendency? – Yes, and it is also our concern in any other countries. But I would like to say also that Catalonia, in particular, and Spain in general have really done a very good job as to secure the integration of immigrants and several ethnic groups. For the last ten years Spain has received a large immigration wave of people coming from different countries, mostly Muslims, and you have done an excellent task to try and integrate them. – In this task for integration, catalanism vindicates the key role of having schools in Catalan as to provide all immigrants’ children with a “linguistic passport”. Do you think you can share this point of view? – I perfectly understand the importance of the language in order to help and secure immigrants’ integration. We, actually, think of English in the same way! The language does strengthen people’s cohesion and it is extremely important. – Another debate, the third one, which is most lively in all Catalan forums is about the political matching between Catalonia and Spain. You said in your farewell speech you have also been following this subject. How do you rate the increasing growth of independentism which according to the last CEO barometer is already reaching social majority? – During my three-year staying here I noticed that this independentist tendency is growing up among Catalans, and not only among leftist or nationalist parties but also among professionals, businessmen and employers. I understand there is some kind of frustration in the relation between Catalonia and Madrid, not only based on the financial system but also because of this widely spread feeling that Madrid, or the rest of Spain, don’t understand the Catalan situation. Again we don’t have about this any official position as it is a domestic matter, but we are following up its evolution very closely and we will keep doing so. - Does the US embassy share this point of view that independentism is a growing aspiration for Catalans? – Every time visitors come from the embassy or from the US State Secretary Office we organize meetings or dinners with actors and representatives of the different segments of the civilian Catalan society so as to Washington and Madrid can better understand the real situation here and realize how deep is the national feeling for Catalans. And yes, I think they have already noticed the depth of this feeling. We are trying to help both the embassy and the US State Secretary Office to better know what is the effective Catalan situation. – Was it an unknown reality for them? – The concern in Washington is about the autonomous regions being a problem for the general Spanish economy, but I don’t think they give much thinking to Catalonia or to any other autonomous region in particular. In Madrid, of course, they do think a little more in Catalonia. But Madrid is so “self centered” and our diplomats have relations mainly with their homologous colleagues at the Spanish ministries. So, they don’t really know, day after day, what is the real situation in Catalonia and we do try to explain it to them on our rapports or whenever they come to visit us. 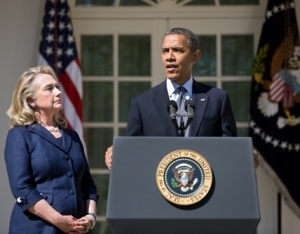 – In 2009, when Hillary Clinton was asked about the possible independence of Scotland, Catalonia or Flanders, she said that the USA would not interfere in the internal affairs of the concerned states. Is that still so? – We don’t have any official standpoint but the required process ought to be, in any case, a democratic and peaceful one. 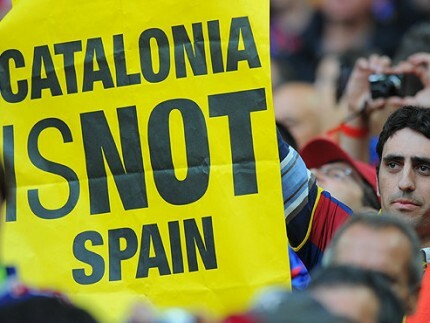 That is an issue which concerns and belongs to the Spanish and the Catalan people. - Anyway, would somehow the USA interfere? – We don’t have any official position at all on this matter. – Are you conscious, as a member of the US State Secretary Office, that if ever Catalonia proclaims its independence some of your acquaintances in Barcelona would contact and ask you to mediate so the Catalan state can get recognition from the USA? – Well… That’s an hypothetical question! [laughs] … and I do really prefer not answering hypothetical questions! 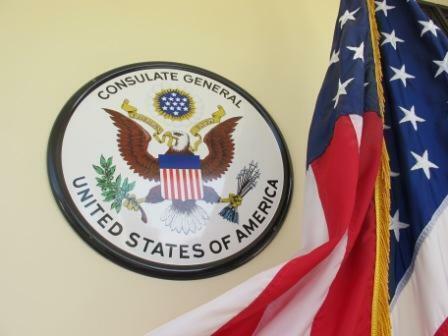 – This US general consulate in Barcelona is among the oldest ones in the world and was born to foster economic exchanges between our textile industries. In case of an hypothetical Catalan independence, the commercial relations between the USA and Catalonia would keep being as constant as they have been so far? – The main purpose of this consulate, 215 years ago, certainly was to foster the commerce between Catalonia and the USA. Catalonia does have many companies with an international projection and able to compete with any other ones either in the USA, Europe or elsewhere else in the world. Barcelona being such a dynamic and innovative city has many possibilities of attracting American investments to Catalonia. And we are here precisely to do so. – Would you like coming back to Barcelona as US ambassador? 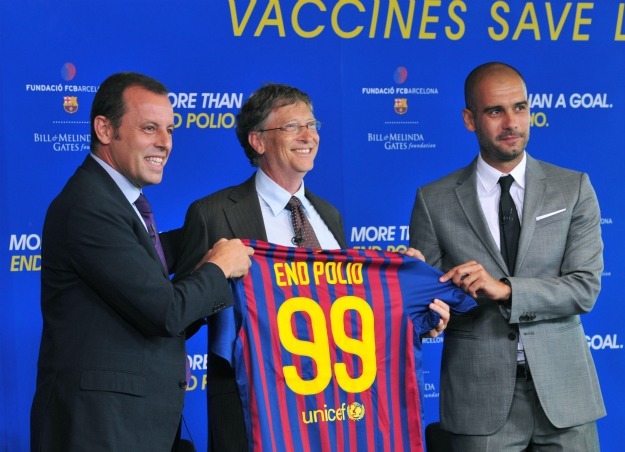 – [Laughs] I would love to be an ambassador and I would love also coming back to Barcelona. I don’t know, however, if I would ever come back as an ambassador, but I would certainly like coming back as I love this city, we really enjoyed it here and I’m sure that we’ll come back some day. 1NOTE: Greggory D. Crouch was US Consul General in Barcelona from August 2009 until July 2012. His successor is Tanya C. Anderson.